Why is my cesspit flooded? It’s raining again and why is my septic cesspit overflowing. The weather bureau was right. There were going to be heavy rains that day. Your planned all-day picnic with your dog and your girlfriend was cancelled. But even if you worked hard on the meals, you decided to just have the picnic indoors. When you looked out your window, you were shocked at what your yard looked like. Only one question bothered you—Why is my cesspit flooded? The cesspit is a waste water treatment system that is pretty much like the conventional septic system. It just lacks the out flow pipes that distribute the effluent to the surrounding environment. It is basically a tank with perforations or holes along its walls so that the pre-treated effluent may be dispersed into the soil absorption system. But the cesspit is known to be more prone to overflow and blockages. The cesspit gets flooded because of so many reasons. One is heavy rainfall. When your rain gutter is diverted towards your cesspit system and when you don’t have a dry well to help with the grey water from the dishwasher or washing machine, the additional rainwater will just make things worse for the treatment of the waste water. The water load is too great for the cesspit to accommodate. This makes the resident bacteria perform slower in breaking down the solid wastes. The gush of water stirs up the sludge and carries it to the soil absorption system. Blockage then occurs. This doesn’t allow the incoming waste water to be treated anymore. Waste water backs up and overflows to contaminate your home and the surrounding area. Another cause of cesspit flooding is the wrong use of toilets, drains, and sinks. This includes the use of harsh chemicals and antibacterial cleaners. These chemical compounds kill off the resident bacteria and corrode the physical components of the cesspit. Another wrong thing to do is to dump grease, paint, disinfectants, napkins, and diapers into the cesspit. These cannot be broken down by the bacteria in the cesspit so they just stay there and clog the entire system. Of course, the waste water has nowhere else to go but back up and overflow. You love trees and this was evident in your yard. There were trees and shrubs planted on the cesspit area. These plants have invasive roots that clog and damage the cesspit. When waste water enters it, the waste water just backs up or overflows because the roots have already occupied the space meant for the waste water. 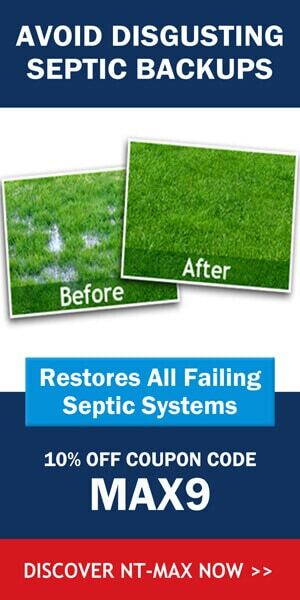 If you want to get rid of the roots, ask your septic expert to manually do this. Using chemicals to kill the roots could contaminate the surrounding areas. Vehicles and structures on top of the cesspit could result to soil compaction. The heavy weight compresses the soil and this crushes the cesspit. The cracks produce leaks. These leaks cause the overflow. You should make sure that the cesspit area is completely vacant. Grass should be the only organisms present on the cesspit. The inability to keep the pump out schedule for your cesspit is another reason why the cesspit overflows. The sludge level in the cesspit should remain normal. It should always be pumped out to make sure that the sludge does not overwhelm the entire cesspit and clog the holes or prevent the waste water from entering the cesspit to be treated. If the cesspit fails to undergo pump outs on a regular basis, the waste water will just overflow because it won’t have anywhere else to go. When the rain stopped, your septic expert came. You asked him again, why is my cesspit flooded? He pumped out ad treated the cesspit with biological treatments. Non-pathogenic bacteria were used to improve the performance of the resident bacteria. Using this kind of treatment doesn’t leave chemical discharges to contaminate the surrounding water systems. There are some experts who do not believe in using biological treatments because they believe that human wastes alone could already be enough to make the cesspit function optimally. It’s your prerogative if you want to use biological treatments. Just talk to your septic expert so that they could be administered well. It was a day filled with unexpected surprises. Thankfully, everything was to your favor and you will never again ask the question of why my cesspit flooded.